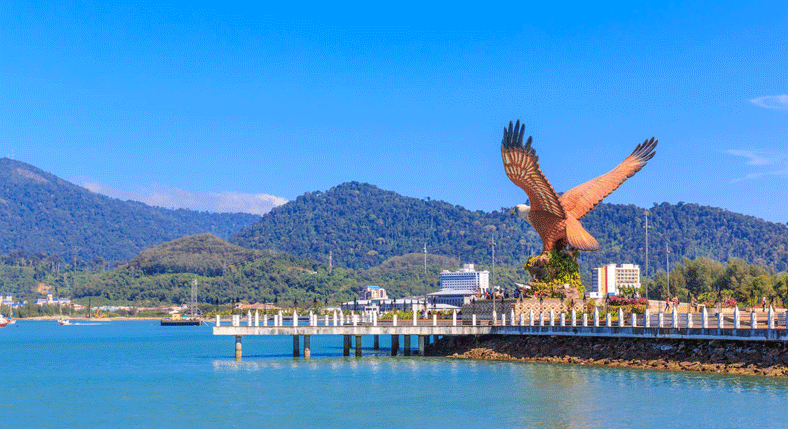 From a dramatic sky bridge in the clouds and cable car ride, to mangrove tours, spas, markets and island hopping, there is no lack of tourist attractions in Langkawi Malaysia. Many tourists from different parts of the world flock in Malaysia while expecting to booze some cocktails, enjoying some mouth-watering Malaysian dishes, and sunbathing on the idyllic beaches of Langkawi, but there’s something more to it. Sometimes weather remains warm, but somewhat overcast, usually not the so-called one for sunbathing. If you experience this kind of weather over there, don’t wait for sun to come out. Instead, you can utilize this time and plan some adventures, book a few activities and enjoy a tour to one of the spas in Langkawi. If you are here for some of the best activities and attractions in Langkawi, keep scrolling to learn about them and know how to get the most of your few days on the island. No matter what the weather outside, you will definitely have fun. Be sure to shop at one of the duty-free stores in Langkawi before leaving. If you are visiting Langkawi and if you don’t have Acrophobia, it is absolutely a must-do adventure in your life. 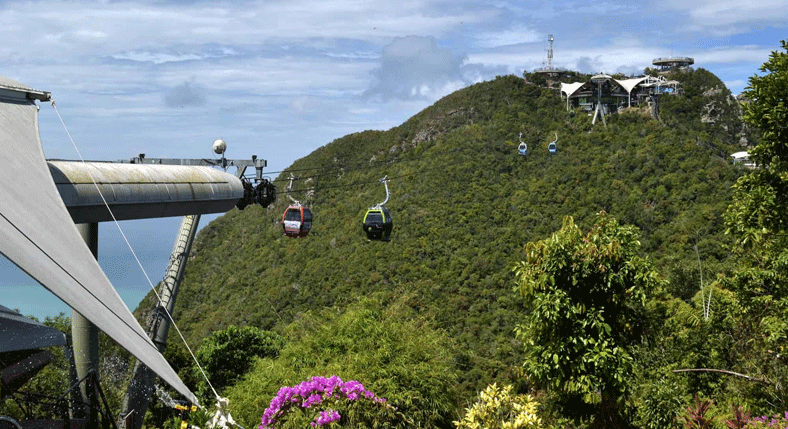 Riding the cable car is one of the hottest favorite attractions in this island. You will get a different view as you climb up the mountain when you come across the jungle, exotic sea views, and some clouds as well. Sometimes visibility is good but there are times when you enter the cloud and barely see your hands in front of eyes. It is perched around 708 meters above the ground. Once you reach the level, it is still worth to pay a bit extra to feel the thrill of Sky Bridge as well. It is really a great feat of architecture and it is really breathtaking. If you love the freedom to explore the island on your own, be sure to visit the Cenang Beach and hire a jet ski. 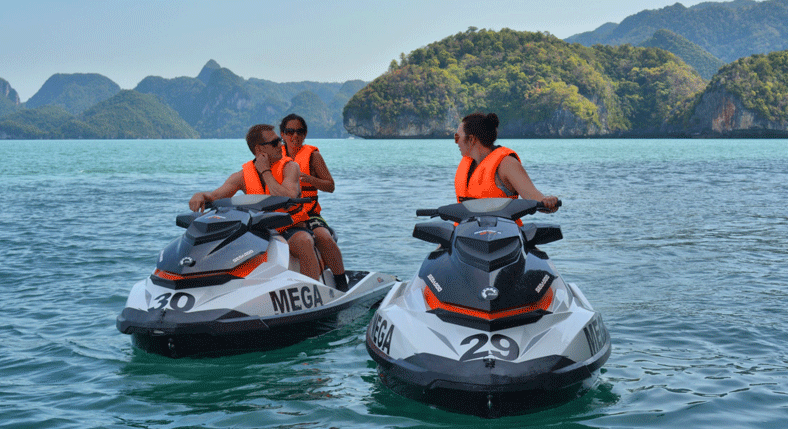 It is one of the most exciting and amazing things to fix your adrenaline in Langkawi. According to the people who tried this, it is one of the best activities to do. You can spot the islands which are completely deserted and some of the stunning and secret beaches. You can also find a few tours which can take you to some of the best spots by Jet Ski. If you have one more day here, it is another fun activity you should do. 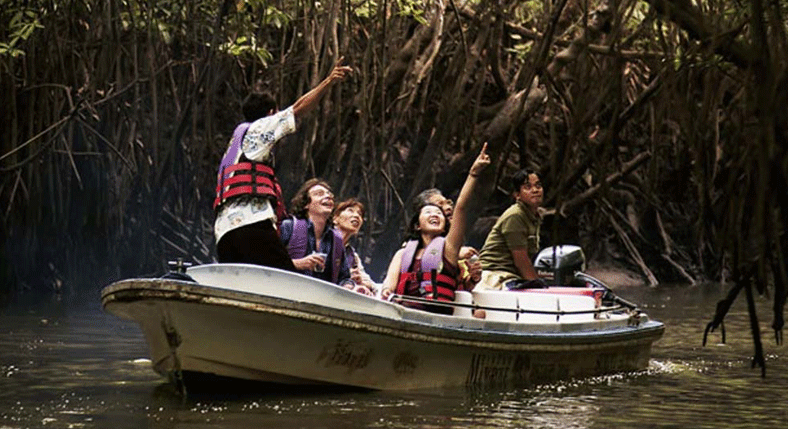 Many people recommend going on mangrove journey in Langkawi. It is really the best opportunity to have a sneak peek into the diverse wildlife of Langkawi, including monitor lizards, monkeys, eagles, snakes, crabs etc. You can also see the blend of lagoons, white beaches and forests in the island. You can either enjoy this fascinating tour by a boat to have a soothing cruise or simply hop in a kayak and start your own adventure across the mangroves. The helicopter tour is really a unique and special way to visit the island. Hop on a helicopter to take to the skies and glide around the serene landscapes. 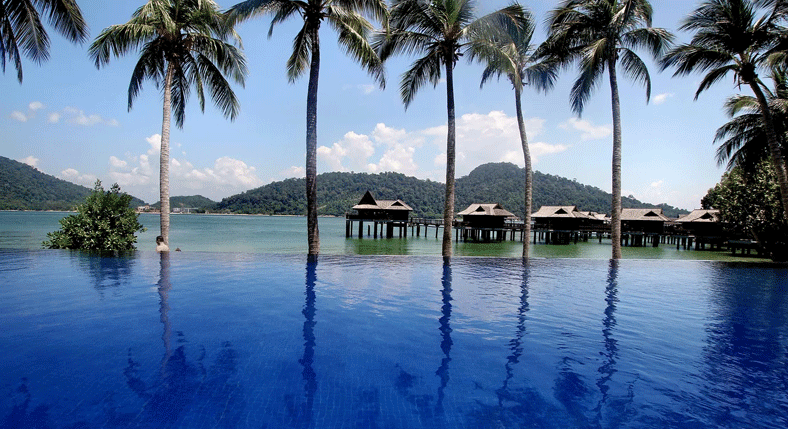 There are different Langkawi tours available, including flights over the Cenang Beach, Kilim River, and Datai Beach. It is a really fun and exciting way to witness the 99 islands making up Langkawi. If you take the cable car, don’t forget to make way from the car park and visit the most beautiful waterfall of Langkawi. 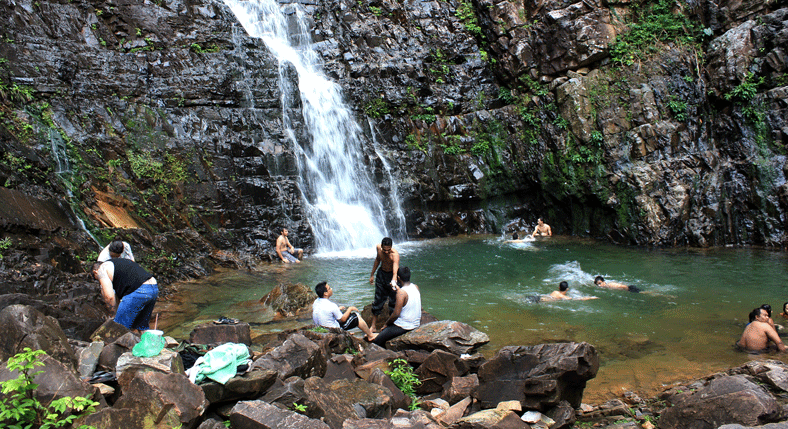 There are seven natural pools in the waterfall, which is also known as Telaga Tujuh. Also, pack a few pairs of your bikini as there are different areas to swim. Cenang Beach is one of the best beaches to relax. It is the bustling spot for relaxing on the island, with plenty of restaurants, bars, and activities and a great beach for the tourists. You can also head to a beach bar, rent sun loungers on the beach, and also taste some relaxing drinks with a view. There are some beach bars which also serve food to the tourists. If it’s raining outside, it is one of the best things you can do in Langkawi. 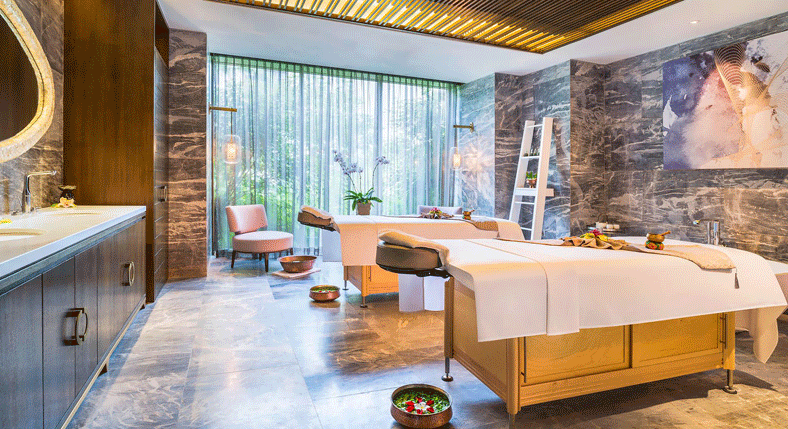 Simply visit the spa for a relaxing retreat. There are plenty of spas on the main street of Cenang which offer services at a reasonable price. 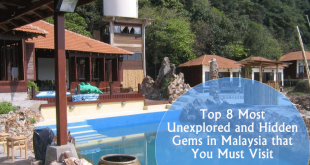 It is something you should definitely visit in Langkawi. 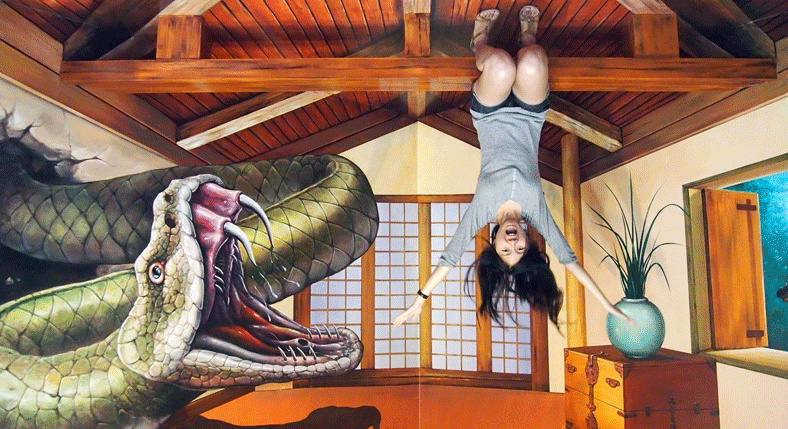 On the floor and walls, you will find the amazing 3D artworks and photos painted for clicking some fun pictures as it feels like you are actually doing the surfing on the beach or you have entered into the jaws of a hippo, falling off a high bridge on a waterfall, or going to be slurped by a panda. The museum is located just around the entryway to the cable car and you can also opt for a joint ticket. If you are enjoying your stay in Cenang, don’t forget to window shop at Night Market in Temoyang on Thursday night. The delightful Malaysian food is the main attraction here. Street vendors also sell everything here, i.e. from ho gun noodles and grilled chicken satay to pancakes and Malaysian laksa. 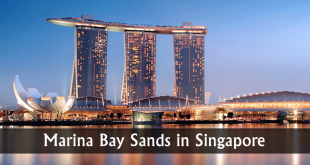 It has a bustling vibe and you can definitely get the cheapest meal for your holiday. 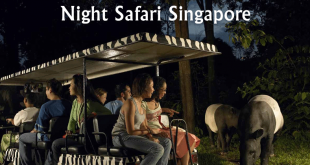 It is one of the best things you can do on your budget at night in Langkawi. 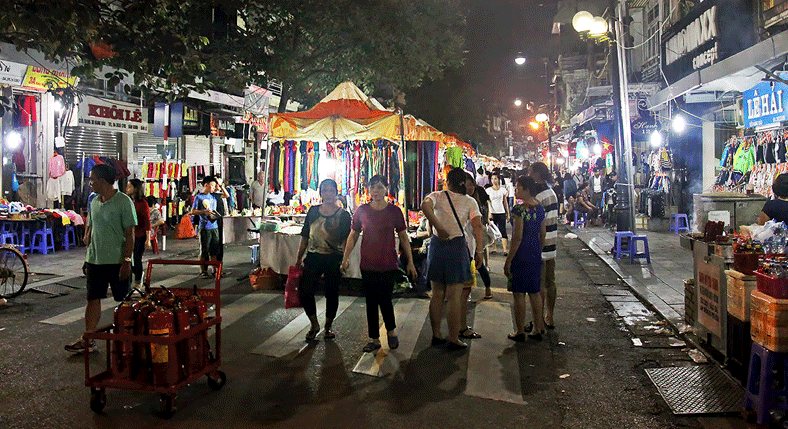 If you prefer to stay somewhere else, you can also find night markets in other areas on different days. So, you can Google them and find one around your stay. This is a fun treetop adventure park located en route to Langkawi cable car. It is beautifully facing the backdrop of Cincang Peak and is tucked in a serene rainforest. 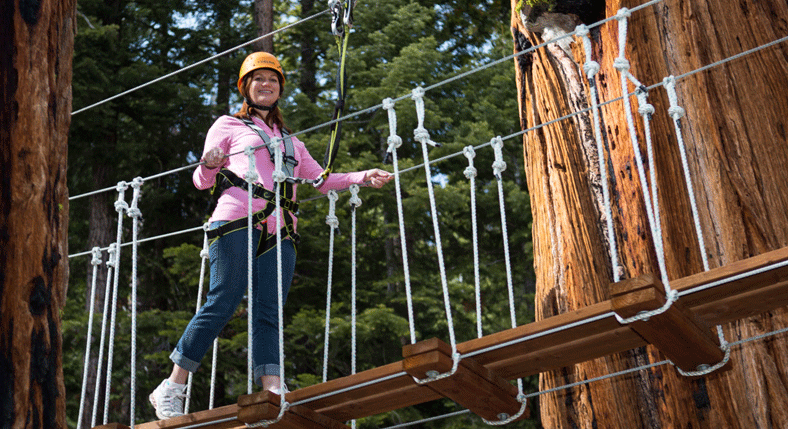 You can enjoy your day swinging, flying, and gliding from one tree to another.